If you have a super king size bed and you know the struggle and expense of finding and buying bedding for that size, then it’s great to head to TKMaxx. Currently in stock, is the lovely Orla Kiely duvet cover set at half the usual price! Plus the pillow cases are included. TKMaxx do stock a good range of Orla Kiely products including towels, throws and duvet covers. Often fashion trends will give inspiration to other products, particularly homeware. This season heading into 2017 sees the rich tone of potters clay, alongside other similar shades like cinnamon and chilli powder with accents of copper to compliment, creating a warm calming space. 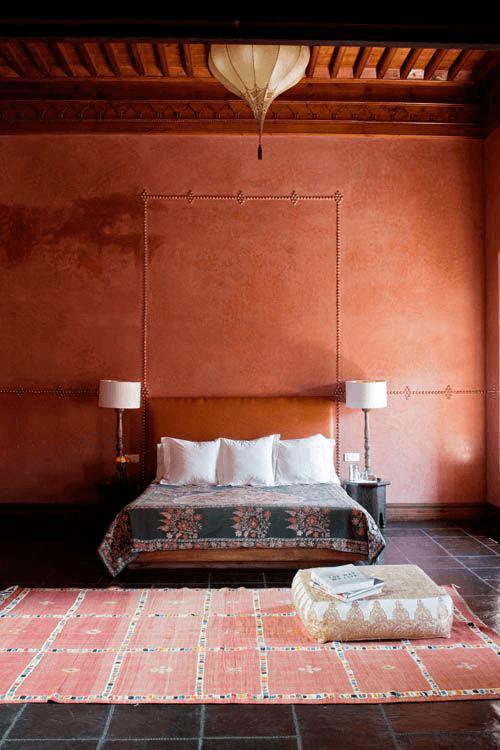 Use these earthy colours on a painted feature wall and accessorize with lighter soft furnishings in cream or white. Alternatively keep the walls light and opt for a tanned leather sofa and some key wooden furniture. Bring print into a room with cushions and rugs, with this colour lending itself well to a Maroccon or Aztec inspired room, you can have fun with pattern and fabrics. Additional colours to consider to sit alongside clay are dark teal and cream. January is all about new projects and hiding from the cold, and making crafty projects. 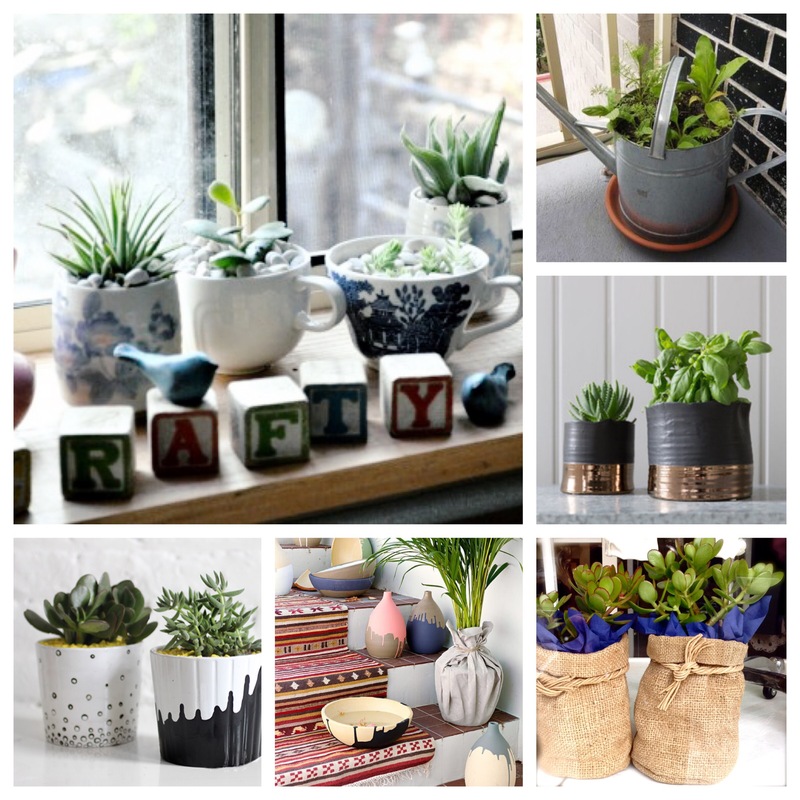 Introduce some indoor (or outdoor) gardening to your home but instead of just buying planters and pots – look to use, upcycle, recycle and make your own alternative containers and stands for your planting. There’s great tutorials from favourites A Beautiful Mess and Brit & Co but there’s lots of easy projects without tutorials. Search for unusual containers – cups, buckets, tins, old crates, bags or even tea pots. 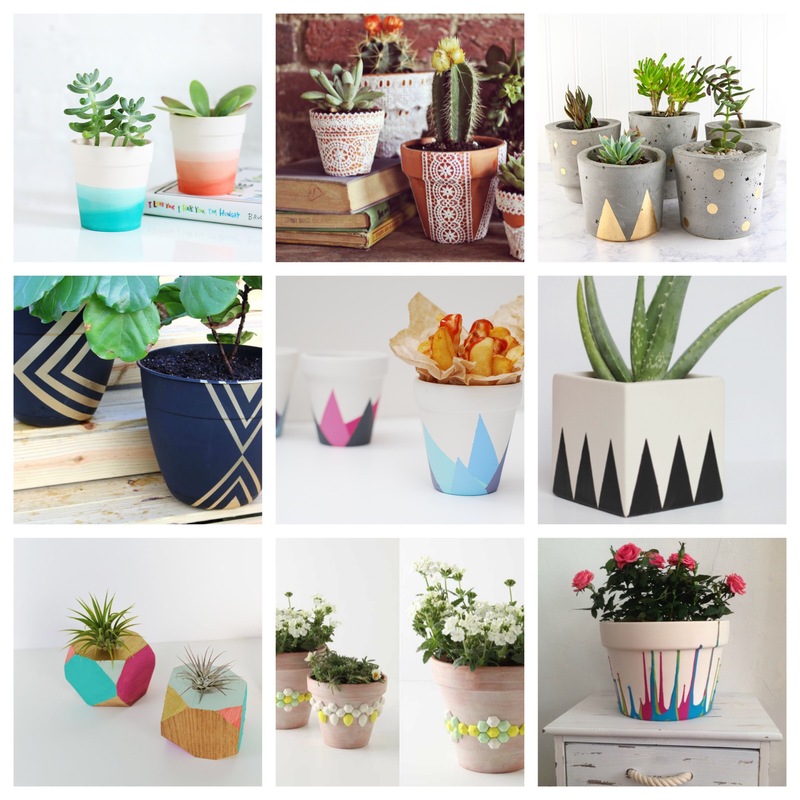 Depending on what you choose to plant your chosen container may need to have drainage holes. Then you can think about creativity with paints, sprays, varnishes or if the item has vintage charm it might look great as it is. Look at trends in colour and pattern for inspiration and use masking to create designs on the outside – try geometric , stripes or colour blocking. Techniques including drip, dip and ombré may be a little more challenging but have great results too. This simple hanging mirror from hm.com is the perfect addition to a bathroom or hallway. Available in silver or gold this mirror has a vintage feel with its chain hanging. You could also mix with some pictures on a feature wall. There maybe sales and discounts but we think the best way to spend Christmas money is to invest in a beautiful piece of furniture. This midcentury style drinks bar cabinet from West Elm is made from eucalyptus wood and walnut veneer, has ample storage space and is just a beautiful piece of design. Invest and order now for arrival in March. We love finding new independant stores and Mauds House is definitely one to keep an eye on. Launched by Hattie Crook, this lifestyle store based in Yorkshire has a heavy scandinavian feel with a large number of products hand sourced from Denmark. Mauds House also heavily supports UK based illustrators and designers. We love the simplicity of the website and carefully curated selection of goods, the muted colour palette and gorgeous design. Our favourites include the cushions and ceramics. If you are in the area you must visit the new shop opening end of January. Here we are reaching the end of 2016 and we are celebrating both a cracking year for design and vision for homes and interior design but also the support and following of many great people who seem to appreciate our daily bite sized features. It’s another great year for design across all departments, updates and new twists on trends we’ve seen before, new emerging brands and designers, and high street stores constantly surprisinging us with designs led style but at affordable prices. We look ahead to finding new trends in 2017, giving us reasons to bring out the paint brushes and create new looks, getting to know the new brands at next year’s Design Festival and new collaborations with brands we love. We’ll be sure to offer more great giveaways, the latest in interiors news and constantly listen to what you’d like to hear about and include everything that we can, as well as be ever grateful to your support, likes and shares. [another] home:blog wishes you a very Happy Christmas and all the best for an exciting new year!